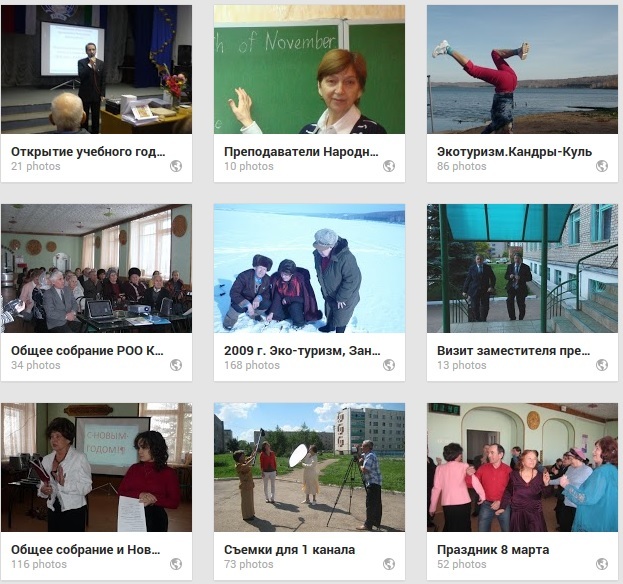 The project “Grannies volunteer for children” supported by the President grant in 2010 provides opportunities to use rich pedagogical potential of elderly people while they help children with disabilities and “difficult” background to learn and develop. Volunteer members of NGO take part in it. First they took a 2­ month course in pedagogy and psychology of “special children”, and then they got acquainted with children and their characters and started their work. Twice a week they meet, play, draw. Sometimes they also have to informally teach their not quite successful parents how to cope with their children and how to deal with all kinds of difficult situations in life. The children like grannies’ visits. They come and play and study together. Grannies­ volunteers are happy and satisfied with the results of their work. One of them says: “One boy was 6 years old. He could only explain things by gestures. At first it was new and difficult for us, but little by little with the help of the social worker and a psychologist we started to count, then say words and in the end, he started talking in short sentences”. This work is continued without government support now by new volunteers and old ones as well. Now our volunteers also attend children of the Boarding School for the disabled and orphans. They organise parties and contests for them. Grannies compete with them in joint teams. Both the children and the elderly enjoy it. They all get prizes.